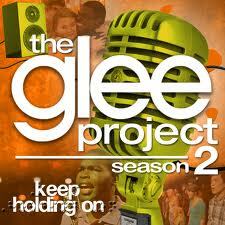 What Can the Church Learn from the Glee Project? It’s summertime…and that means a slightly slower pace, summer jobs, warm evenings and yes…summer television. Throughout the Glee Project competition, the director, choreographer and vocal coach have made accommodations for Mario so that he could learn his part for each song and music video. The other contestants assisted him as well. However, Mario was treated as a valued member of the team. When he did well, he was praised. When he made errors, he was corrected. And, when he needed an attitude adjustment, his castmates and directors gave him direct feedback. 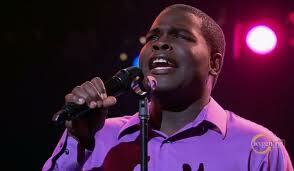 When people watch this competition, I hope that they see a talented, fearless, inspirational young man that happens to be blind and NOT a blind person that they let on the Glee Project. I’m so much more than that. Blindness is the last thing on my list. In my line of work, I’m trained to look for needs, and to be keenly aware of areas of weakness so that I can respond with solutions. Mario reminded me that I need to be sure my “default setting” is on strength-finding…because EVERYONE has gifts, and the Church is incomplete without the gifts of ALL. When I first heard this song, I thought “What a pretty love song.” Now, it sings like a Psalm, hinting at heaven. This entry was posted in Managing Ministry and tagged church, Glee Project, ministry, special needs, youth by katiewetherbee. Bookmark the permalink. My wife and I heard a great sermon yesterday…the senior pastor had been looking at the topic of gifts while teaching through 1 Corinthians and publicly repented in front of the church because he recognized the error in his thinking that his gifts were superior to those who attended his church and served in other ways. Excellent reminder to the church as a whole.